Many of the antibiotics used today were developed from natural products made by bacteria themselves in order to ward off other bacteria. These products used to be sought and found primarily in soil. Now, Julia Vorholt and Jörn Piel of the Institute of Microbiology at ETH Zurich have turned to a totally different ecosystem: the leaves of plants. 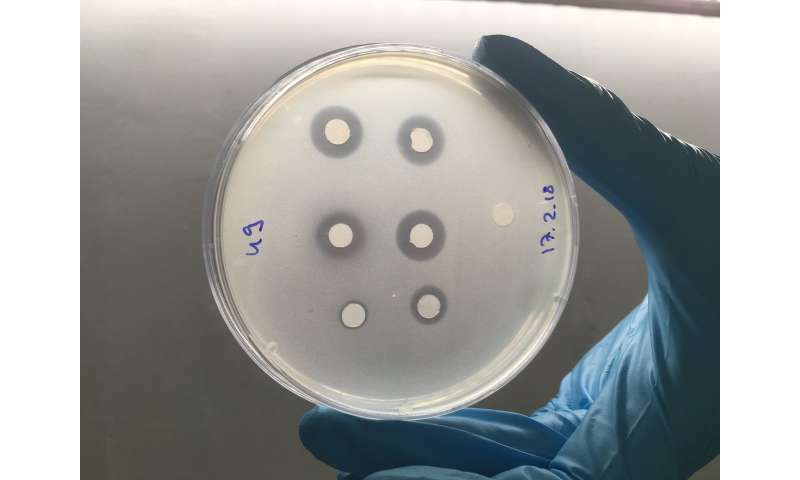 As part of the National Research Programme "Antimicrobial Resistance" (NRP 72) funded by the Swiss National Science Foundation (SNSF), the researchers are investigating bacterial strains from the leaf surface of Arabidopsis thaliana, or thale cress, which grows in the wild. This microcosm, known as the phyllosphere, is poor in nutrients. "That gives rise to intense competitive pressure," says Julia Vorholt. "As a result, bacteria produce a diversity of substances that allow them to defend their habitat." That's because despite the scarce food supply, the phyllosphere is populated by a large number of organisms. Vorholt and Piel investigated more than 200 bacterial strains that occur in the widespread thale cresses. The genomes of the strains have been decoded, but have hardly been analysed in any targeted way until now. "We applied bioinformatics techniques to investigate gene clusters that are able to control the production of substances and could thus have an effect on other bacteria", says Vorholt. 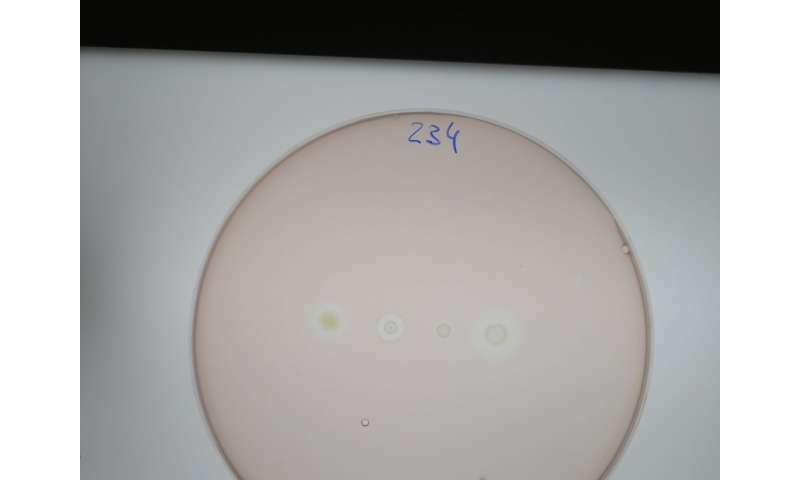 To find out exactly what those effects are, the researchers ran parallel tests in the laboratory: they found 725 antibiotic interactions between various strains that prevent some of the bacteria from multiplying. "The big question was obviously whether we had simply found natural products that are known from other habitats, or whether we had stumbled onto compounds with totally new characteristics," says Jörn Piel. This has important implications for antibiotic research, which is seeking new antibiotics with mechanisms of action that are very different from those of today's drugs and thus could overcome existing antibiotic resistance. "Now we need to clarify whether macrobrevin and other newly discovered substances are also effective against bacteria that cause disease in humans," says Piel. This is an exciting possibility, he says, but even more exciting is having shown that the relatively unexplored phyllosphere still contains many antibiotically active natural products to be discovered: "I have no doubt that this incredibly diverse ecosystem will provide medical science with many new approaches. Our findings confirm that it is worth expanding the search for antibiotics in nature."